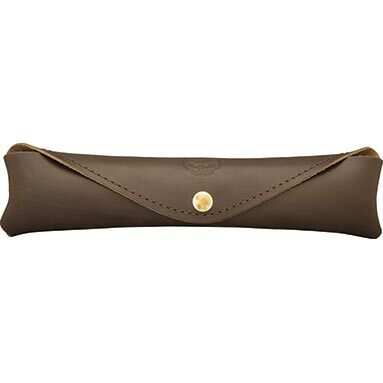 Deluxe Brown Leather Spokeshave Wallet / Holder - 10.5 Inch (Large). Deluxe mahogany coloured leather large spoke shave case. Dimensions:27cm x 6cm (10 ½" x 2 ½") approx.